Fresh, exciting and hands on - the only way to see Darwin !! 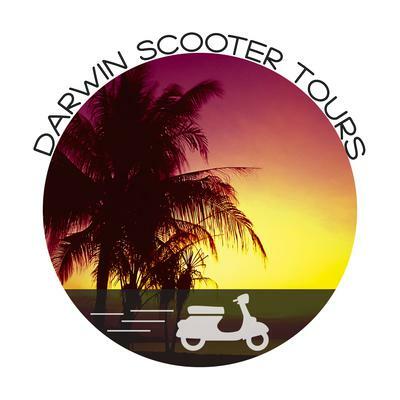 Darwin Scooter Tours is the ultimate way to see and experience the Top End. The warm balmy climate makes scooters the ultimate way to get outdoors and see what this city has to offer. Join one of our experienced guides and listen to their live commentary through your helmet headset as we ride through Darwin, from the city to the coast, taking in the major sites. 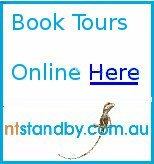 This is the most exciting and active way to see Darwin. All you need is some closed toe shoes and a car license and we’ll provide the rest on our comfortable and modern 50cc Scooters which you will ride yourself. Scooter Tours leave from the heart of the CBD in Mitchell Street. This includes a famous Pauls Top End Iced Coffee to get you started followed by a 2-hour Scooter Tour of Darwin. A 2-hour Scooter Tour of Darwin including a behind the scenes tour of Darwin Fish Markets and a Seafood Spectacular lunch on some of the finest local seafood the Top End has to offer. Learn about NT Seafood from a famous NT Fish Monger who will be on hand to explain everything about what makes NT seafood so unique. A 2-hour Scooter Tour of Darwin followed by an Aussie BBQ dinner overlooking the water watching one of Darwin’s famous Sunsets. There is simply no better way to end the day. To finish up you receive a complimentary drink at the famous Monsoons nightclub on Mitchell Street.